Made from recycled cotton and linen-donegal, blended and reinforced with sturdy nylon, Soul Aran has a unique rustic look, with a super soft hand. Linen-Donegal gives the fabric a tweedy or nubby look, adding layers of texture to your finished piece. This blend has just enough structure that you can make garments that hold their shape, but also drape nicely on the body. It is aran weight and also incredibly soft and breathable, making it perfect for transitioning between seasons. 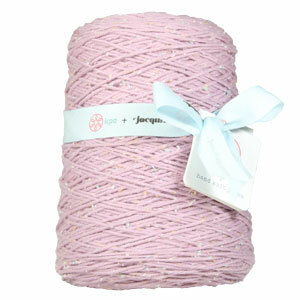 With a generous 400 grams/700 yards, one cone is plenty for an accessory or baby garment! Certified by the Global Recycled Standards, KPC uses reclaimed industrial waste to close the loop within the production process. Discarded fabrics from KPC's spinning mills are upcycled to create carefully crafted and sustainable luxurious yarns that are as soft as they are environmentally conscious. 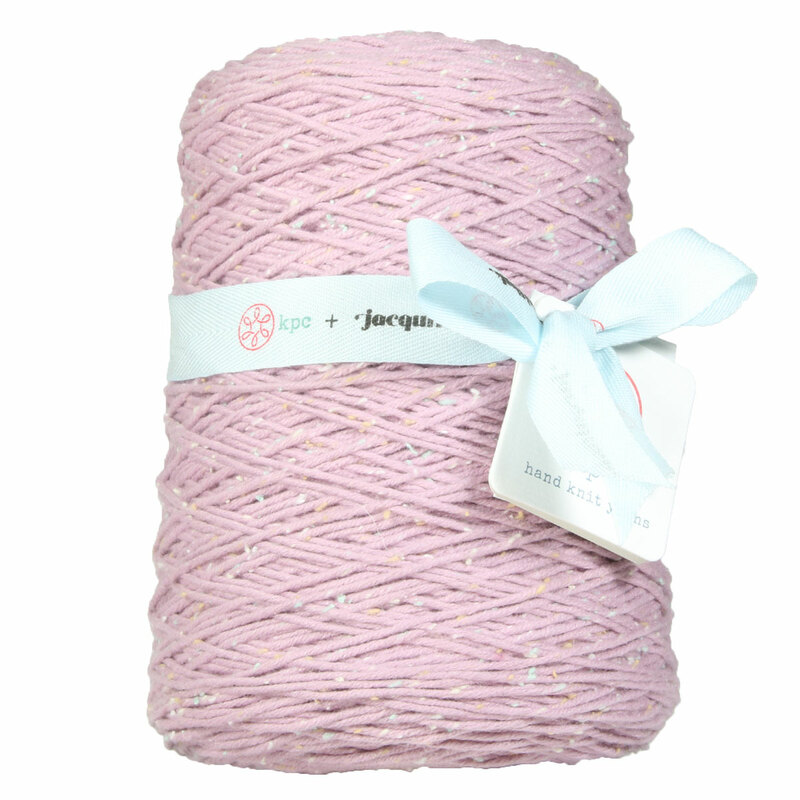 Soul Aran is offered in a beautiful muted color palette that would compliment most styles of clothing or homeware items. Check out the #Knitwell capsule collection, a collaboration between KPC Yarn and extreme knitter and textile artist, Jacqui Fink. Combining a shared passion for natural fibers and high-quality yarns, #Knitwell comprises a collection of luxurious yarns and hand-knit designs with timeless and understated beauty. The weight of Soul Aran yarn is heavy worsted/aran (16-18 sts/4 in). Here are some patterns written for heavy worsted/aran (16-18 sts/4 in) weight yarn. Check out our advanced pattern search page to see all patterns. Remember you should always measure your gauge prior to beginning any project! 3. For additional ideas, you could look at some projects we created with Heavy Worsted/Aran (16-18 sts/4 in) yarn.